Claire Legrand will be in conversation with Phoebe North. Phoebe North is the author of Starglass and Starbreak. She lives in New York State with her husband and many licensed novels. A graduate of the University of Florida's MFA program in poetry, she likes to cook, watch Degrassi, sew, take her cat for walks, and, of course, write. Despite many soaked pages, she loves to read in the bath. 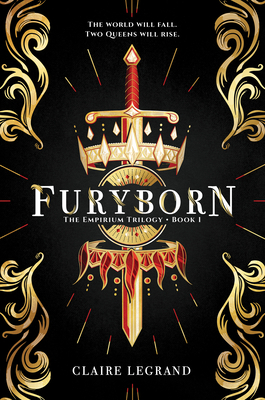 If you're unable to attend the event and would like a signed copy of Furyborn, please purchase the "Signed" version below.